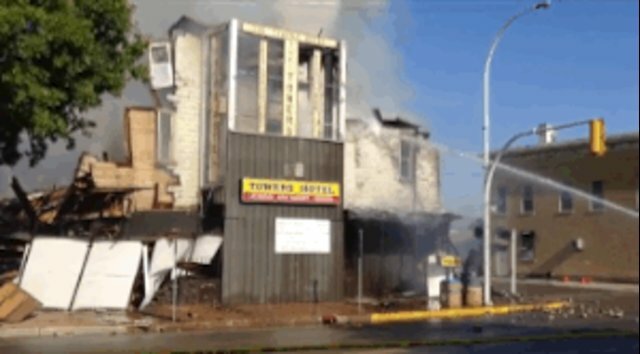 On Thursday afternoon, a fire broke out at the Tower's Hotel in Dauphin, Canada, tearing through the historic structure and causing it to collapse. 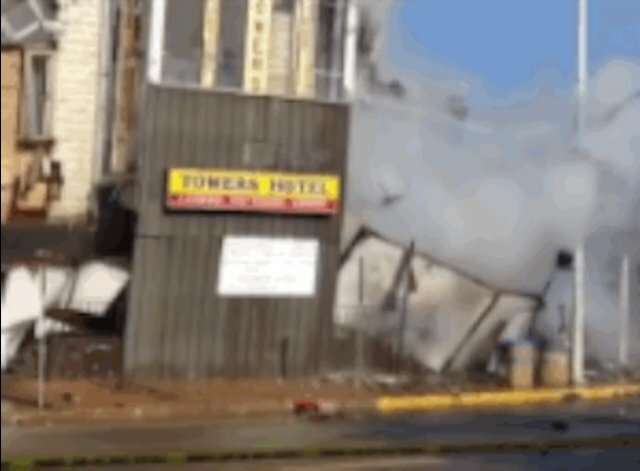 Rescue crews thought everyone inside had gotten out to safety - but they were wrong. 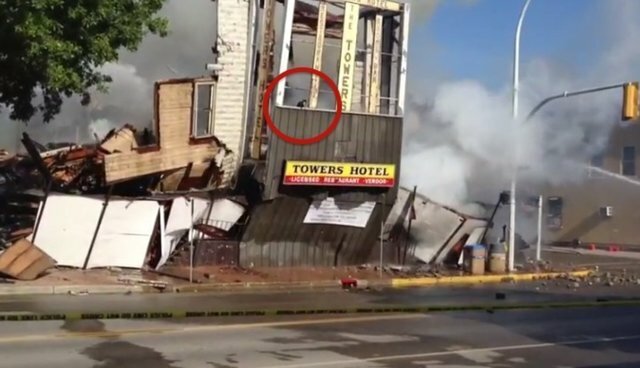 Firefighters were busy extinguishing the remnants of the blaze when, moments before the building's facade began to crumble, a black and white cat appeared in the second-story window, much to the horror of gathered spectators. But amazingly, like a bewhiskered, four-pawed phoenix, the cat emerged from the smoldering wreckage and scampered to safety seemingly uninjured. Fortunately, there were several bystanders to corral the frazzled kitty and take him to a nearby animal hospital to make sure he was alright. Vanessa Merke, from the Dauphin Veterinary Clinic, spoke to The Dodo by phone and was happy to report that the survivor cat was actually doing just fine. 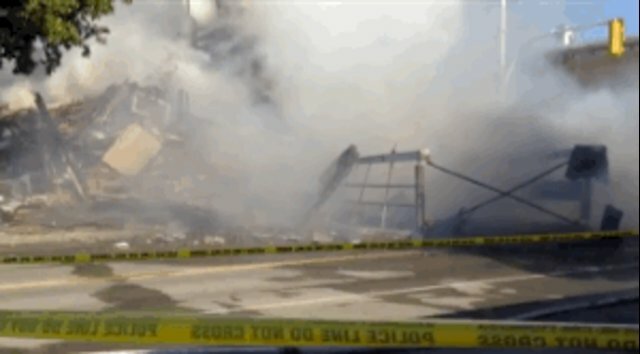 "He only had singed hair and some smoke inhalation. He wasn't badly hurt. He's been looked after and is doing really good," she says. "Watching the video, I think he was lucky get out alive. He's a very lucky cat." Merke says the cat has since been reunited with his owner.